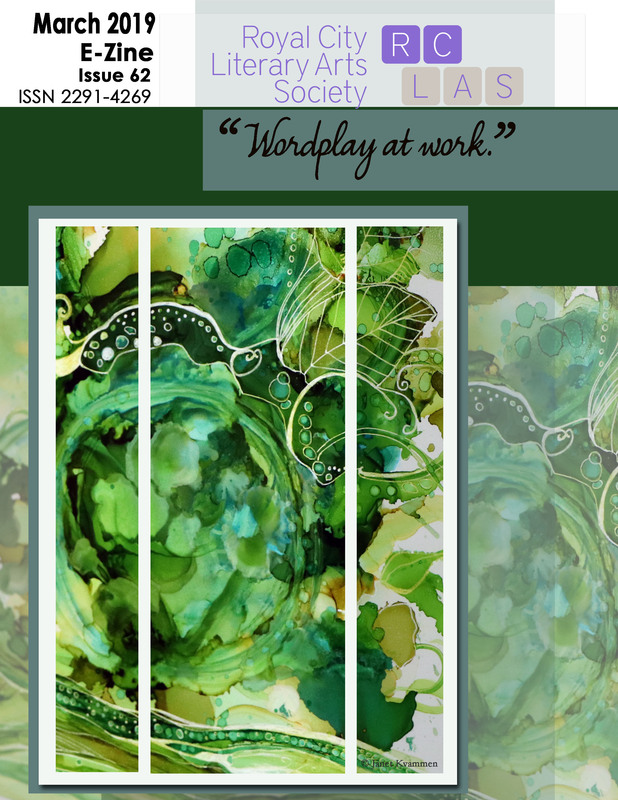 FEB 2019 RCLAS Wordplay at Work, Issue 61 ISSN 2291- 4269, 68 pages. Our 2019 Write on! Contest News and info. Issue 61 features Writer-of-the-Month RCLAS Member Barry Plamondon plus our Annual Haiku Issue. Poetry contributed by RCLAS Members: Deborah L. Kelly, Glenn Wootton, Jerena Tobiasen, Lisa Strong, Aaron Barry, Jenny Ihaksi, Joanne E. Betzler, Mary Crane Fahey, Julia M. Schoennagel, Stephen Karr, Janet Kvammen and Kathy Figueroa. Upcoming events including a poetry workshop with Alan Hill, In Their Words, Tellers of Short Tales with Aislinn Hunter, and MUCH more! Posted in Uncategorized, Image format on February 13, 2019 by rclasonline.